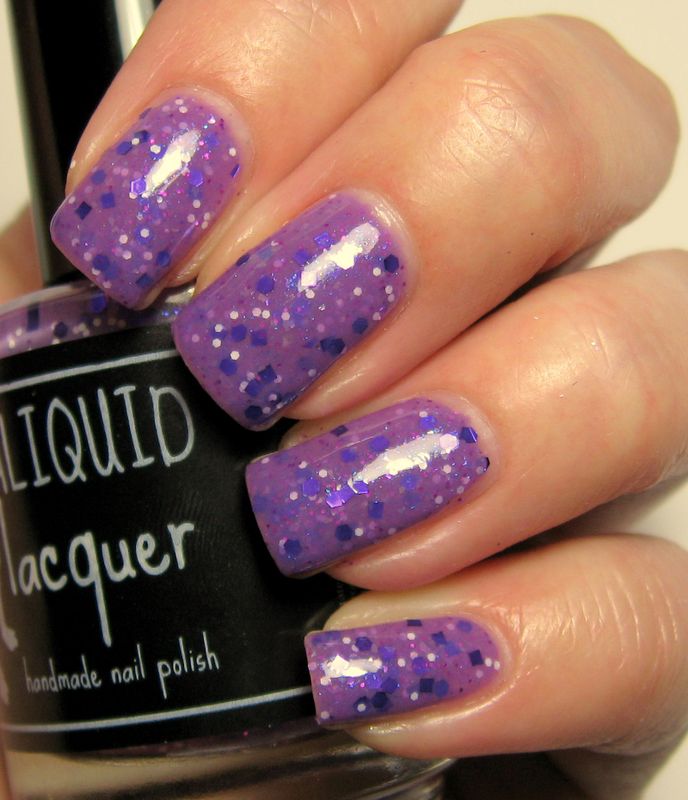 ALIQUID: NEW products at ALIQUID Lacquer! Good morning! I'm really excited to tell you about my second set of ALIQUID Lacquer polishes, now available for sale! First up we have three polishes in the Re-Gifted Collection. I made a bunch of polishes as gifts for friends and family this winter, then Trudy picked three to put in the store! ALIQUID Lacquer Exploradora. Two coats with Out the Door topcoat. Exploradora was originally made for a relative who used to work for Dora the Explorer (apparently she's a real taskmaster). It's a tan crelly with magenta hexes and small black glitter. I've made this crelly (and the others) more or less opaque in two coats, since I hate having to use a ton of coats with glitter polishes! ALIQUID Lacquer Gargoyle. Two coats with Out the Door topcoat. Second up is Gargoyle, an homage to Gargoyle Magazine at the University of Michigan. It's a grey creme with white, gunmetal, gold and copper flecks. Looks like stone! ALIQUID Lacquer A Pun on Teal. Two coats with Out the Door topcoat. Finally we have A Pun on Teal. I made this as part of a Secret Santa swap in a nail group I belong to. We're always joking that teal polishes need to have a punny name (like this one, for example), so I skipped the hard part of actually thinking up a good pun. 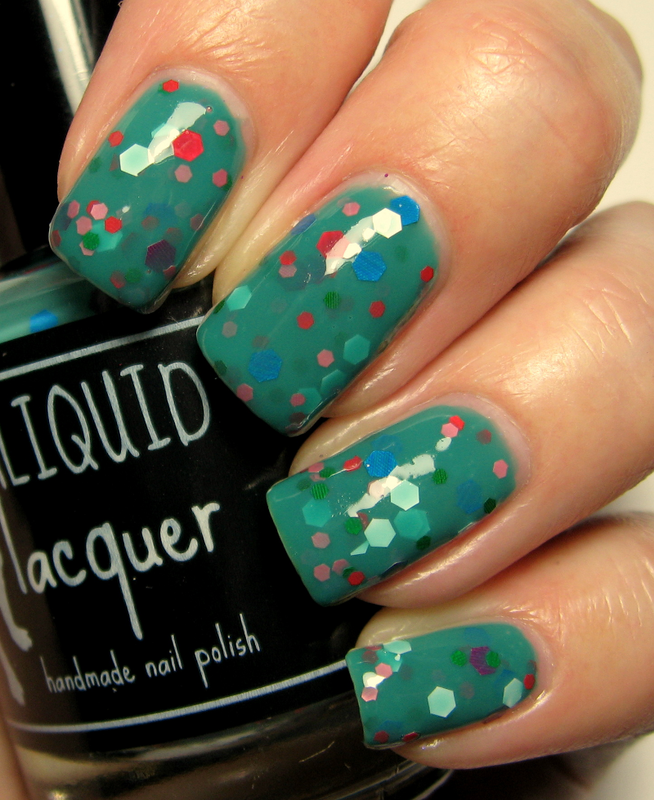 This is a green-leaning teal crelly with matte glitters in multiple sizes and colors. ALIQUID Lacquer Stop and Smell the Orchids. Two coats with Out the Door topcoat. Stop and Smell the Orchids is a Radiant Orchid-style purple crelly with purple, white and fuchsia glitters, plus white, blue and purple flecks. Super sparkly! Finally, I made two new scented lip balms that both smell divine: chai and mint citrus! Go check out the new stuff at my shop! The polishes all retail for $9 (15 ml)/$4 (5 ml) and the lip balms are $2 (or $5 for three). 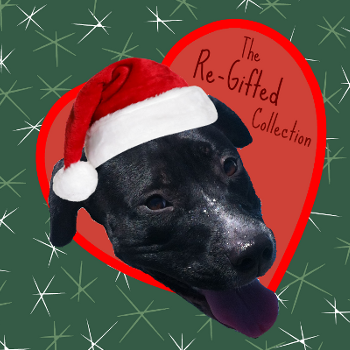 Trudy and I hope you like everything! These look great!!! Especially Gargoyle!